We are looking for dynamic, motivated and energetic personal trainers who will compliment and inspire an already successful fitness team. We believe in world class customer service, outstanding levels of training and education for our members and standards that exceed everyone else. We are looking to relaunch Personal Training here at Hertfordshire Sports Village and need the best people to drive this. If you have a minimum of 12 months experience running your own PT business, are efficient in business and productivity planning, know how to generate leads and are familiar with a rent paying model then we are excited to hear from you! 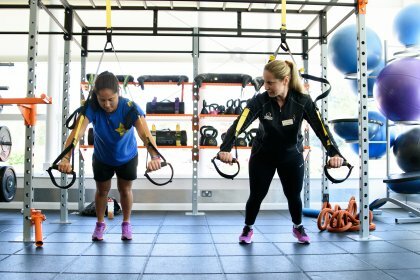 Our aim is to become the leading elite centre of personal training in and around our area for members. We need PT’s committed to a serious project who can take us to the next level in PT excellence. It is essential that you hold a Level 3 Personal Training qualification, First Aid and Public Liability Insurance.